In 2010, the collection achieved a milestone of 50 years of official existence, but the fungi catalogued at the UAMH are a rich legacy resulting from more than 80 years of research by Canadian and international scientists and by UAMH staff and students. 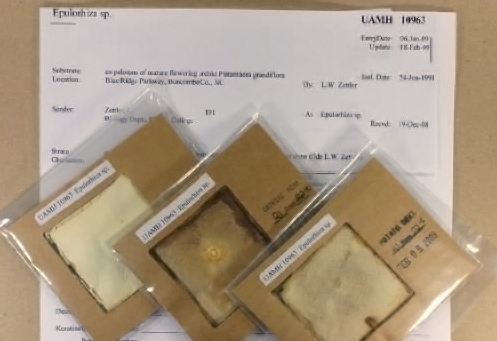 The UAMH comprises 11,800 living isolates and dried herbarium specimens representing more than 3200 species. The collection was officially established by the University in 1960, but its origin dates from 1933, when the first fungal medical diagnostic service for Canada (and the British Commonwealth) was established at the Provincial Laboratory in Edmonton. This collection is the only one in Canada that stores and distributes medically important fungi, including pathogenic, opportunistic, toxigenic and allergenic fungi, that can be used to aid identification of potential new pathogens, to test susceptibility to antifungal compounds or to develop or evaluate diagnostic tests. It also holds a wealth of beneficial and non-pathogenic organisms important for producing chemical, medicinal or industrial compounds, for promoting plant growth especially in disturbed habitats through provision of host-specific and locally adapted mycorrhizal fungi, for controlling insect or plant pests, for investigating forestry or agricultural practices, for use in remediation, industrial or biotechnological applications. The more than 1000 type and authentic specimens held at UAMH are fundamental for systematic, genomic and biodiversity studies. 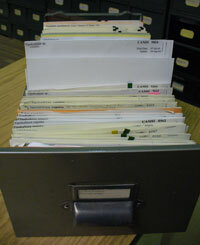 The UAMH was the first in Canada to develop a computerized database for managing microbial strain and to publish print and web-based catalogues. Cultures and associated data are easily surveyed through the searchable on-line catalogues on the well developed website. In November 2015, the UAMH moved to the Gage Research Institute at the University of Toronto where a new legacy under the stewardship of Dr. James Scott begins. A Canadian microbial repository holding valuable biological material for medical, environmental, industrial and systematic research and for scientific and public education. One of the two largest collections of filamentous fungi in Canada and eighth largest collection in the world. A reference and training centre for the identification of human and animal pathogens and allied taxa. A unit of the Dalla Lana School of Public Health at the University of Toronto, and is headquartered at the historic Gage Research Institute. The UAMH has been funded through grants from the Natural Sciences and Engineering Research Council of Canada, the University of Alberta Devonian Botanic Garden and fees. NSERC grants to the facility through the Major Resources Support program (and its predecessors) amounted to $950,000 over 23 years. 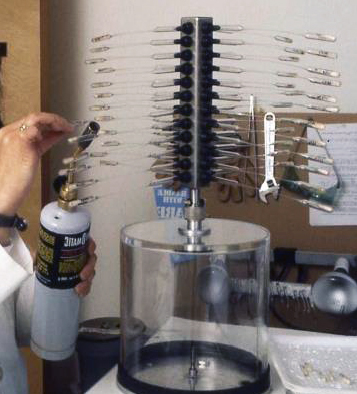 In 2012, the MRS program was suspended, leaving the UAMH and many other specialized facilities that provide support to Canadian research programs in jeopardy. Read more about the problems created by the NSERC Moratorium. Transferring cultures in a biological safety cabinet. 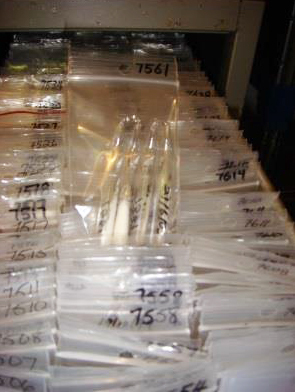 Lyophilized culture tubes packed in refrigerated storage. Herbarium cabinet containing dried voucher specimens. Voucher specimens of dried cultures.